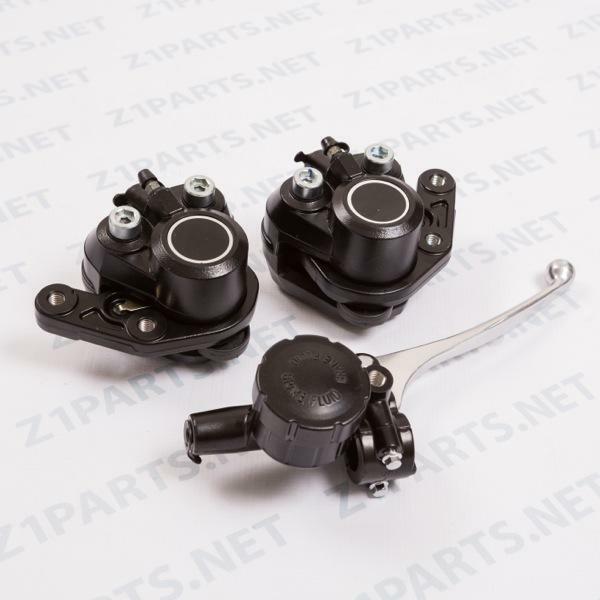 This is a set of two front brake calipers, RIGHT and LEFT and a double disc front master cylinder (5/8) for the Z1-900 models 1972-1975, Z1/Z1A/Z1B. Will also fit the H2-750 and the H1B/D/E/F 500 MODELS, 1972-1975. INCLUDES BRAKE PADS.